On December 14, 2018, a new train route connecting Uzbekistan’s Tashkent and Russia’s Moscow was launched. 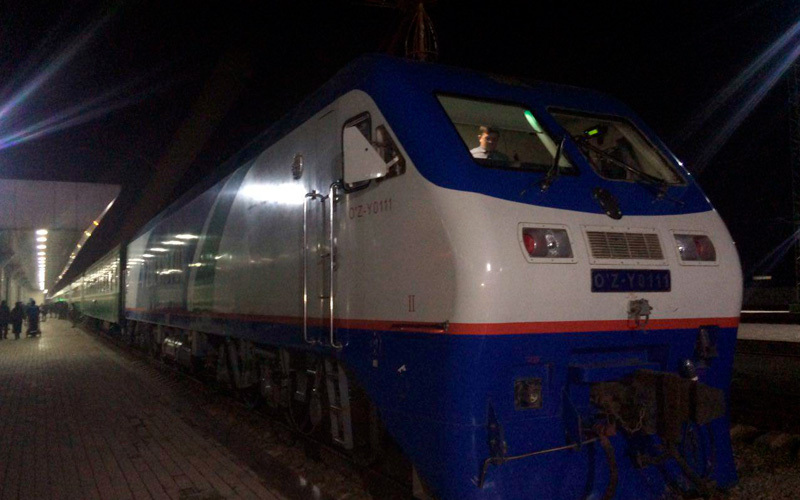 The new train started its first Tashkent-Moscow-Tashkent 350/349 trip at 06:54 p.m. yesterday, the press service of the JSC “Uzbekistan Railways” said in a statement. It should be noted that to date, only 2 train routes – Tashkent-Moscow 5/6 and Moscow-Andijan-Moscow 149/50 trains have been operating. The new train route eyes to provide convenience for citizens, therefore, this train runs from the central station “Tashkent” and passes through Samarkand, Navoi, Bukhara and Nukus cities of Uzbekistan. This is a great convenience for citizens living in these regions and tourists who want to visit the historical cities of Uzbekistan. According to the established schedule, the train along the Tashkent-Moscow-Tashkent route runs every Friday. It departs at 18:54 local time and arrives after 79 hours of journey at the “Kazan” railway station in the Russian capital at 00:00 Moscow time.